After almost 50 hours of Master Gardener training this month, there is one image that I cannot get out of my mind. During the lecture on growing fruit, the professor put up a photo of some workers in China, up on ladders in the middle of an apple tree that was covered with blossoms. The workers were pollinating the flowers by hand because excessive pesticide use in the area had killed all of the bees and native pollinators for apples. While considerable attention has been given to diminishing populations of honeybees and Colony Collapse Disorder, honeybees are not native to North America. They are hugely important in pollinating some crops (almonds, especially) but the average Midwestern garden is far more likely to be visited by bumble bees, orchard mason bees, or the guys who seem to love it at my place, leaf cutter bees. Most of these bees (and 90 percent of all North American bees) are solitary insects who play a vital role in helping us produce vegetables and fruit as well as helping to control problem pests. 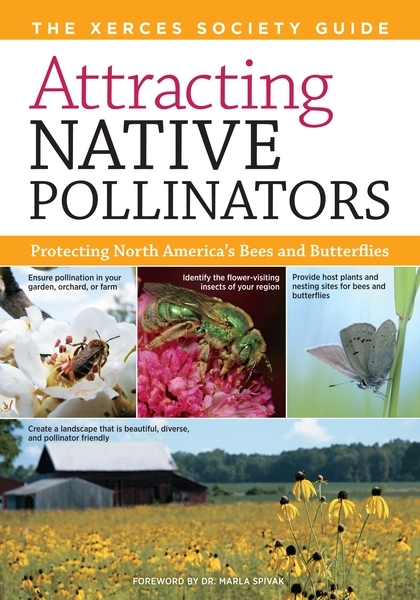 The book provides detailed instructions on how to provide habitat for pollinators, what plants to plant in various regions (I was pleased that more than half of the recommended plants for the Midwest and Great Plains are in my garden now, with more to come), and how to recognize and support the pollinators in your yard. So how do we support pollinators? The simple answer is to provide a diversity of plants. If possible, choose plants that are native to your area and plan for a sequence of blooms from early spring through fall. Try to provide habitat as well, such as a bee house or nesting sites for ground nesting bees. Don’t be too obsessive about keeping your garden cleaned up — a pile of brush can be home-sweet-home to many pollinators. They also like holes in the ground and hollow logs, if you have one hanging around. Also, plant “sacrificial plants,” those that you know may be eaten by caterpillars or other larvae on their way to becoming butterflies. That’s the simple answer, but for more detail and some fantastic bee and butterfly photos, check out Attracting Native Pollinators. If you are a member of the Minnesota Horticultural Society, the review copy I received will be in the hort society library in a few weeks. Thanks for posting that. 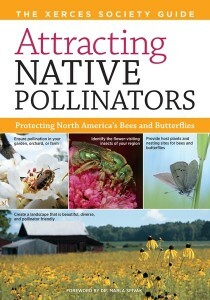 I am always interested in discovering new ways to protect our pollinators. A balanced ecosystem is very important. Great post.